Isn’t it funny-looking and cute? 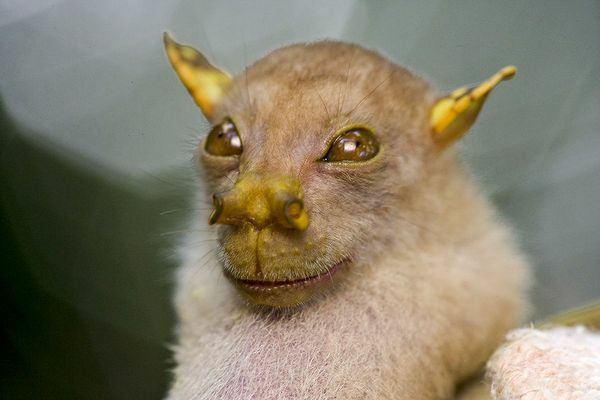 Click here to see more information on this bat and other animals that have recently been discovered around the world. This is on one of the best websites, NationalGeographic.com, which has beautiful photographs and interesting articles about wildlife, people, science, and the earth. I love writing, teaching ESL, and sharing my love of language with my students. To get started, click “Welcome” at the top. Click “About Me” and “Links” at the top and the Categories on the right side for more. If you don’t want to miss a post, sign up for an email subscription.